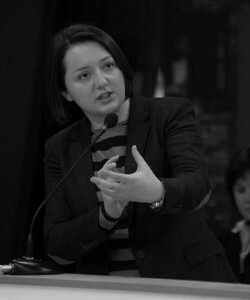 Ana Abashidze has been working for UN Women and the Office of Public Defender of Georgia for 7 years. She holds the ToT status and provides trainings for the practicing lawyers in the framework of European Union and Council of Europe joint initiative ‘Empowerment of Lawyers Capacity for Use of European Convention on Human Rights and European (revised) Social Charter on National Level’. She has authored several human rights monitoring reports and publications on the rights of children following UN CRC. Currently, she holds the position of the head of the NGO – “Partnership for Human Rights”– PHR.